Interested in getting married soon without dropping tens of thousands of dollars? It seems nearly every engaged couple has the same thought when they're in the middle of planning (and spending) for their wedding day: We should have just eloped. If the idea of eloping is intriguing but you also can't quite see yourself at City Hall, a new company called PopKnot Events could be the right fit – and they're headed to the Philadelphia area next month. Eastern Pennsylvania-based PopKnot's formula is fairly simple: The company selects a venue and offers interested couples time slots to come in, get married, and have a small reception for themselves and 25 of their closest friends and family. Beyond booking the venue, PopKnot also deals with the music, catering, wedding cake, flowers, photographer, videographer, and even the officiant. Next month, for Valentine's Day weekend, PopKnot will host its first pop-up weddings at the Duportail House in Chesterbrook, Chester County. There are four slots available for the day on Saturday, Feb. 16, at 11 a.m., 1:30 p.m., 4 p.m., and 6:30 p.m. Each slot gets a total 90 minutes – a 20-minute ceremony and a 70-minute reception. Because it's a truncated version of a full-blown wedding, the price is pretty truncated as well: The service costs $4,500 total for the Feb. 16 weddings. By comparison, the average wedding in the Philadelphia area in 2017 was $32,953. In April PopKnot will head to the Garth Art Studio in Columbia, Lancaster County. for more pop-up weddings, this time costing couples $3,000 each. 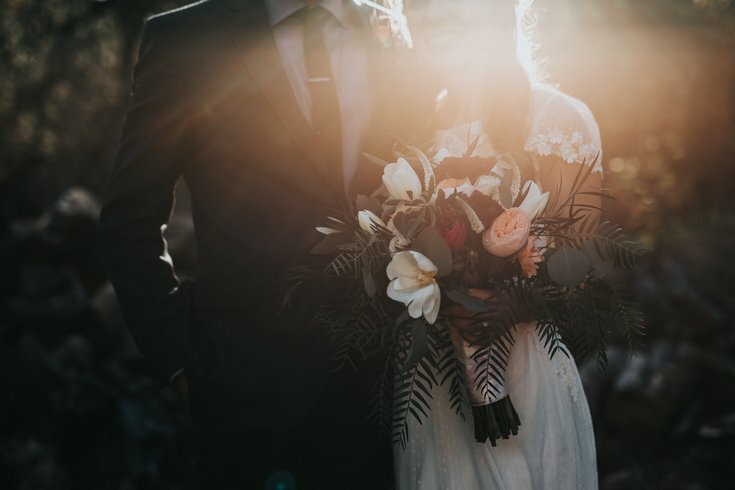 To make the weddings a bit more personal, couples can also specify their wedding songs and floral designs, as well as speak with the officiant and photographer prior to the day to discuss other specifications. Interested in tying the knot swiftly while saving some money? Check out more details on the PopKnot Events site.